You can’t deny that the shift in weather has caused many problems for property owners here in the UK. But how do we prepare for such events? Farm motor insurance specialists, Lycetts take a closer look at the different types of natural disasters. Over the recent years, Brits have feared heavy rainfall due to the risk of floods. Between November 2015 and January 2016, for instance, the UK experienced the most ever rainfall for that date period. Not too earlier than that, the wettest winter on record for the UK was recorded during the winter of 2013/14. Is there a way to prepare for a flood? If you’re expecting a flood, it’s important to regularly check for weather updates — tune into the radio or turn on the TV to become aware of frequent changes. This page of GOV.UK should also be monitored, as it informs you if your area is either at an immediate risk of flooding, at risk anytime in the next five days or is seen to be a long-term risk area. 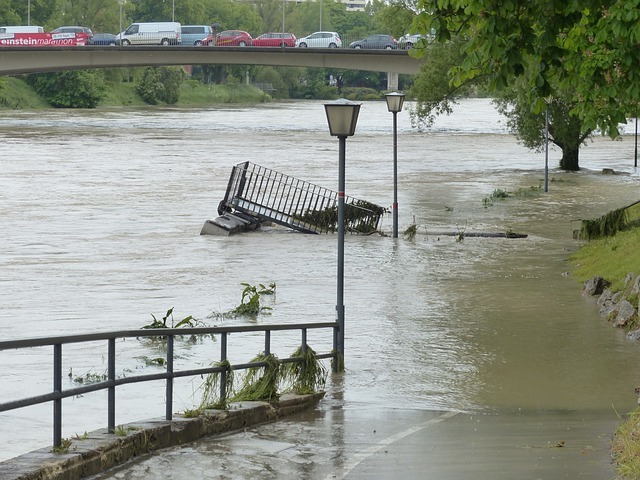 Could a flood impact your property? Then you should get an emergency kit prepared (there are different ones for when you’re at a facility, on the move, or in your car, which Red Cross details here), as well as purchase some sand and sandbags in good time — these are likely to be in high demand once a flood strikes. If a flood could potentially make its way into your property, you need to make sure that you carry out all precautions — which should include turning off all power. Take up-to-date photographs around the interior of your workplace too, as they may prove very useful in the event you need to make an insurance claim. Is there a way to recover? There are a few things that you should look out for in the event of a flood, for example, if the water has an encounter with your food, this must be disposed of. This is since floodwater is at risk of being contaminated with sewage. One of the most important things that you must remember is not to use the water until your supplier says so — boil any water if you need it! Your water supplies company should be contacted if your tap water’s colour, smell or taste has changed as well. Gas or electrical items should also not be switched on until they have been checked by a qualified technician, as they may have got wet during a flood. Also, it’s important that you contact your insurance company as quickly as possible. Make sure to take photographs ahead of starting any cleaning up too — which can be coupled with the photos taken when preparing for a flood as a before and after snapshot — and only discard any items once it’s been cleared by your insurer. You’ve probably experienced a storm before. Between September 12th,2017 and January 24th, 2018 alone, there were nine named storms across the UK. Many people are sure to still have the ‘Beast from the East’ fresh in their minds too, where a mixture of blizzards, drifting snow, strong winds and bitterly cold temperatures cause huge problems and resulted in the Met Office issuing a rare red weather warning — the organisation’s most severe alert. Is there a way to prepare for a storm? Have you been alerted that a storm could occur? Any rubbish bins and exterior furniture should be moved indoors — perhaps in a garage or underground section of your workplace facilities — so that they are not able to cause damage to cars or surrounding property if they are blown over when a storm hits. On the topic of cars, you should move your vehicle into a garage or somewhere that is sheltered too, so that they can’t receive damage from flying debris. Is there tall trees located near your property? Before a storm arrives, have a look to ensure they aren’t damaged and not likely to be blown over when the bad weather rolls in. If you are concerned, get in touch with your local authority, as leaving the problem may result in it damaging your property or putting people in danger. Trees and shrubs can also be trimmed to make them more wind-resistant as well. Become familiar with the surroundings of your property. Checking the elevation level of an area will let you know if it’s prone to floods, for instance, while being aware of nearby dams and levees will allow you to assess whether these could cause a hazard to you during a storm. Remember to remain indoors until the storm has passed as you could be putting yourself in danger. Even when it is safe to go outside and begin the storm clean-up process, be extra vigilant, as the wet and windy weather may have caused more damage than you can see. Trees and tall structures may now be unsafe, for example, so keep your distance until they can be accessed. If you encounter any problems outside of your property, do not try and recover it yourself but instead, contact the local authorities. Photos and notes should also be taken of any damage that has been caused to your business from the storm, with this being followed up by a phone call to your insurer to make them aware of all issues. Believe it or not, the speed of wind can reach between 32 and 63 miles per hour during a gale. However, the UK has been subjected to much more powerful gusts of wind over the years. On March 20th, 1986, for example, a gust of 173mph was recorded at the Cairngorm Summit. It’s not just at higher levels where strong winds cause problems though; a gust of 142mph was recorded at Fraserburgh, in Aberdeenshire, on February 13th, 1989, wind speed of 124mph was marked at Kilkeel in County Down on January 12th, 1974 and winds of 118mph were felt at Gwennap Head, in Cornwall, on December 15th, 1979. Is there a way to prepare for a severe gale? Make sure that all outdoor objects are placed in a safe place, such as a garage or a garden shed to ensure nothing blows away. Crumbling brickwork and broken fences should also be tended to before severe gales arrive, as waiting until after the wind has eased could result in you having to fork out more money for the repairs — not to mention the issues posing risks to your property and workers based there while the gales are blowing fiercely. You should also regularly check the condition of your roof. Any mould, sagging material, loose sheathing, areas which are leaking, and rusted nails should be reported to a specialist for them to rectify ahead of the problematic weather. As soon as the winds have calmed down, you should check your property from the outside. But do be cautious. Attempt to make your facilities as safe as possible again too, though it’s best to leave the complicated repairs to the experts. When inspecting your property, also be on the lookout for any fallen cables, loose masonry and weakened trees, keeping your distance if any of these are identified. Electricity could go down too during high winds. Don’t attempt to restore power yourself, but instead get in touch with your electricity supplier to make them aware of the issue and to get details about when the power will likely be restored.